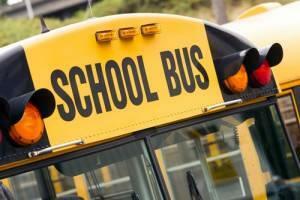 Who Is Responsible for a Child’s Injuries in a School Bus Accident? Going to school is a large part of a child’s life for well over a decade, but many parents do not have the time or ability to transport the child to and from school every day. Instead, a significant number rely on county or municipal school buses to drive the child, and while precautions and standards are used to make them as safe as possible, children can still face substantial injury in a school bus accident. Further, the many stops the buses make, coupled with the unpredictable behavior of children, present additional chance of injury that is partially addressed by enacting laws specifically related to safety precautions other vehicles must follow when driving near school buses. Some examples include stopping when the stop signal arm is extended and flashing lights engaged, as well as stopping when children are boarding or unloading generally. Unfortunately, drivers do not always follow these rules, and the consequences can be tragic. Three siblings were recently killed, and another child hurt in northern Indiana when a 24-year-old driver hit the children crossing the street to board the bus, despite the stop arm being extended and the flashing lights activated. While responsibility in this crash is straightforward, responsibility is not always obvious. To help parents understand their rights in case their child is injured in a school bus accident, a discussion of how liability is determined will follow below. Anyone else directly or indirectly involved in the accident. Worth noting is the fact that parents will naturally want to hold the school district responsible in many instances, but suing a government entity is extremely difficult, and different rules apply to making a legal claim. Consulting with a personal injury attorney about taking legal action is crucial to preserving this right. The plaintiff suffered an injury as a result. Pain and suffering or emotional trauma related to the accident. If your child was injured in a school bus accident, you need to take quick action to preserve your right to sue all potentially responsible parties. The attorneys at the Mevorah Law Offices, LLC handle a variety of car accident claims and know how to build a strong case for compensation. Contact the skilled DuPage County personal injury attorneys at our office today at 630-932-9100 for a free initial consultation.